Famed for its gleaming skyscrapers razoring the skyline, Singapore has long been a symbol of technological innovation. And the city-state now has its sights firmly set on becoming a world leader in autonomous vehicle technology, with new legislation covering this area billed for the second half of 2018. The island makes an ideal testing bed for autonomous vehicles due to its impeccable road infrastructure and stringent regulations on the traffic system. Some of the companies playing a role in autonomous vehicle development in Singapore include startup, NuTonomy, who set up an autonomous ride-sharing service in the country in 2016 - a world first. This was operated through the Grab app, run by the equivalent of Uber in Southeast Asia. The company now has permission to operate in a number of areas in Singapore. 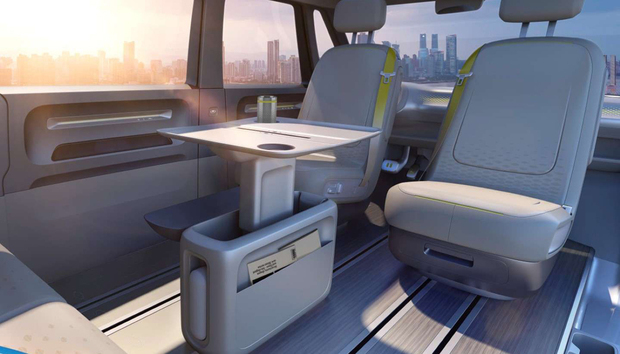 The investment in autonomous driver technology will form another facet of the Singapore government’s drive to narrow down the numbers of private vehicle owners, currently influenced by prohibitive taxes placed on top of the price of private vehicles. Their approach works, with only 600,000 privately owned and rental cars currently on the roads, among a population of 5.6 million. A 15-year plan to reduce privately owned vehicles also encompasses promoting ride-sharing schemes and public transport. Introducing autonomous ride-sharing options would decrease Singaporeans reliance on cars to get them to public transport stops. These initiatives would be aimed at tackling the well-recognised ‘last mile’ problem in public transport, meaning the issue of how people access public transport from their homes which may be remote from a transport hub. Other companies are working directly on autonomous public transport services, such as ST Kinetics. This company is working with the Singaporean Land Transport Authority (LTA) to begin trials for an autonomous bus service carrying 40 people each. While multinational car giant, Volvo, is also moving into this space - planning to test its own autonomous bus solution in Singapore in 2019. Autonomous trucking is also being investigated, with bodies including port operator known as the PSA Corporation, the Ministry of Transport, and OEMs, Scania and Toyota working together to develop self-driving truck platooning systems on Singapore’s roads. This could make freighting transportation more efficient, allowing the transportation of these heavy goods at night and freeing up labour to move into other sectors. Also in partnership with the government and groups such as ST Engineering and Toyota, are academic groups including the National University of Singapore and Nanyang Technological University on projects such as the autonomous truck platooning technologies and vehicles for transporting waste and clearing roads. These cross-sector partnerships have also facilitated the building of Singapore’s ‘test town’ in 2017. This fake, two-hectare town based in West Singapore is made up of tightly packed roads, plenty of junctions and pedestrian crossings for companies to test their autonomous vehicles out on. It’s specifically designed to test out different sensors in the cars in different environments. For example, a rain machine allows companies to mimic the slippery conditions of the tropical city in a controlled test. This is important, given that 70% of the test cases have involved cars incapable of operating in heavy rain, as of June 2018. All of the collected data is beamed directly to the Land Transport Authority’s (LTA) Intelligent Transport Systems Centre, located nearby, informing the future of autonomous vehicle development. But of course, you can only test so much within simulated scenarios, and the government has also allocated three real world towns for testing self-driving vehicles too. According to the government, driverless buses are billed for daily commutes in these towns by 2022.